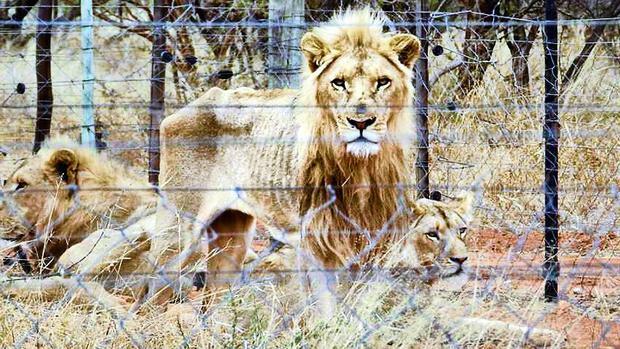 In the 12 March 2019 “Captive Lion breeding: DEA progress report; Rhino Demand Management; with Minister” the insular, circular thinking of South Africa’s Department: Environmental Affairs (DEA) is apparent under the auspices of the recently appointed Minister of Environmental Affairs, Ms Nomvula Mokonyane. However, “for 2019, the Scientific Authority would engage in public consultation before making the recommendation” – but without any proven conservation imperative, that quota should be zero. As portfolio committee member, Mr RK Purdon (DA) said, “….he was struggling to understand how captive lion breeding could contribute to the eco system, and the issue about indigenous lion bones……He referred the Department to the Committee’s resolution of the report, which stated that the DEA, as a matter of urgency, should initiate a policy and legislative review of captive lions and the lion bone trade with a view to putting an end to this practice. The Department had talked only about how they would initiate the review, but had not mentioned how they would put an end to the practice” – when will that much needed ‘end’ happen? There is a lot of emphasis on the proposed High Level Panel (HLP) formation where the HPL “would function as an advisory committee and would review the existing policies, legislation and practices related to the management, breeding, hunting, trade and handling of elephant, lion, leopard and rhinoceros. The guiding principles would be obtained from the Constitution and the related statutes.” The question of course is how will the HLP members be selected from nominees (nominations due by 27 March 2019) and what sort of balanced, impartial constitution of panel members will the HLP encompass in reality and even if it is balanced, will the HLP’s advice be heeded? However, there is no guarantee on how the proposed panel will operate in reality, or how any panel member’s commitment to “the objectives and principles of conservation and sustainable use” will be tested and potentially manipulated – an HLP member’s reputation could be misused to prop up majority support for panel decision which are biased towards ‘sustainable utilisation’ doctrine. Based upon the Portfolio Committee’s above disregard for a Parliamentary Resolution to end the captive lion breeding industry, the HLP’s reputation could be in tatters before it is even formed….. However, no evidence is provided within the presentation, or discussion of the 12 March 2019 to support the assumption that “regulation [of legal trade] rather than prohibition could be the best solution,” or how “demand was reversible” if/when demand is legitimised and stimulated, apart from the ‘finding’ that “use of [rhino horn products for Traditional Chinese Medicine (TCM) with no proven efficacy] is far more traditionally vested than it actually seems, people are committed and loyal to the belief” – regardless of strongly held beliefs, pandering to and reinforcing such ‘belief’ is hardly likely to deter such ‘belief’ is it, where overturning such ‘belief’ is key to demand reduction isn’t it? So it will be up to NGOs to work on the consumer side demand reduction, whilst the DEA works on the legal trade side it would seem. The question is, which NGOs are likely to be effective in such demand reduction whilst simultaneously supporting the DEA’s pro-trade stance that legitimises demand? Is the DEA looking to “eliminate” demand, or only to “reduce” demand for rhino horn to sustain income into South Africa from legal trade? Would South Africa’s rhino breeders be happy if demand for harvested rhino horn was eliminated after a period of legal supply? If the aim is to eliminate demand, then legitimising and supplying that demand would not seem compatible objectives. The problem is what happens if Demand Management and Demand Reduction fail, which equates to Legal Demand and an exponential rise in Illegal Demand? Where is the evidence and practical theory to support the claimed conclusion that “demand” is “reversible” in reality? Which begs the question, why isn’t that happening anyway? Of course, the excuse will be that the income from selling rhino horn legally is essential…. “According to the pro-trade model, scarcity caused by trade bans, produces high prices which leads to higher poaching rates. Instead of combating illegal poaching, according to this argument, scarcity should be eliminated through legal supply from wildlife farmers and state stockpiles. Legalising markets would then reduce or even eliminate profitability for poachers while maintaining high returns for legal suppliers. However, another profitable scenario for Rhino Coin speculators that would no doubt make the Rhino Coin index rise would be the underlying commodity becoming scarcer (ie. less wild rhino bearing rhino horn) – under near wild rhino extinction, the higher the Rhino Coin bids to buy farmed rhino horn would be. Of course, the extinction of wild rhino would not only help raise the Rhino Horn index, but would grant those that speculate and ‘harvest’ farmed rhino exclusive supply opportunities. Rhino Coin is hardly a truly altruistic conservation endeavour that aligns with the DEA’s 12 March 2019 stated objectives. The DEA’s farcical approach lacks any grasp of the negatives in reality – the DEA seemingly holds onto the failed notion of ‘sustainable utilisation’ being a panacea.